An unforgettable experience for children and also adults. Visit the protected area just 3 km far from village Kostolná pri Dunaji. In 1999 a project designed to save rare species of endangered Ussuri tiger was established here. Today there are 18 beautiful grand tigers living here, out of who 16 were born in the oasis in Slovakia. An imitation of natural environment including plants, water and also places, which are used for natural plays of not only cubs but also adult tigers, was created here. The tigers live here in a protected area in isolated place, in the complex surrounded by forests and fields. There are “tiger gardens“ where they can move freely. The visit of this oasis is not only a lot of fun for children, but they can also learn how important it is to protect rare species of animals and respect nature. 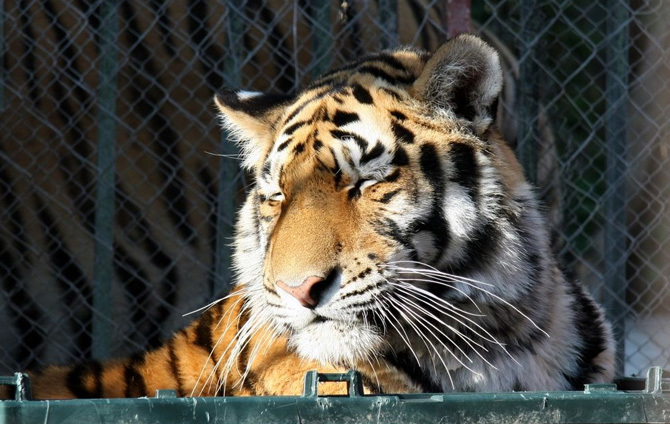 A photography with tigers can, of course, be a beautiful memory of family holiday in Senec. If you like these gorgeous animals from the very first moment, you can become an adoptive parent or godfather of one of them.